It’s #teasertrain Thursday! Hope on board with Shades of Gray! He reserved his Sunday nights for the most important person in his life—his six-year-old daughter Lucy. These nights were referred to as the Sabbath and he always observed. On more than one occasion, he had mentioned his Sunday night dinners with Lucy were the source of good luck for the upcoming week. Tonight, however, would end any further mention of the delight he took in these evenings. Lucy had always chosen the location for their dates, and, the familiar ching-ching-ching-ching rattle of dollar bills being exchanged for golden tokens falling from the change dispensers rang in John’s ears. The clanging of bells from the game machines and the flashing lights reminded him of Las Vegas. They were, however, quite far from Sin City as they slipped into a booth at the Chuckie Cheese in Raleigh, North Carolina. Parents hurried past them, chasing small children. Older children stuffed chains of small white tickets into the counting machine so they could collect a prize worth ten cents after spending ten dollars to collect the tickets from games of skill like pinball, skeeball, whack-a-mole, and pop-a-shot. No doubt casino owners the world over would sell their soul for similar odds. She reached across the table and pulled on his sleeve. “Well I want a pizza with double cheese and nothing else on it like that gross stuff that you like.” She smiled and studied the menu. As if she would order anything else. He removed his glasses and pushed his thinning blonde hair back from his eyes. He wiped the lens clean with his tie. He shook his head, leaned forward and took her small hand in his. again.” She pulled her hand away and sat back against the seat, turned her head to the side and crossed her arms. “Look, I know how much you like Tonya but you don’t have to be on a cruise ship to have fun playing with her. We can meet her at a park, or McDonald’s or some other place to play.” He watched her uncross her arms and put her hands back on the table. She didn’t reach for his hand. She spoke without looking up. “Daddy, umm, do you think that you could marry Wanda?” He closed his eyes and tilted his head to the ceiling, smiling. “If you and Wanda got married then I could have a mommy and Tonya would be my sister.” She gave him a pleading smile. John was used to the question. He called it the “mommy test.” It was not a difficult test to pass. Lucy’s only requirements were: She had to like the potential mommy and the candidate had to be female. All Aboard the SuperSonic #TeaserTrain! Today is a special TeaserTrain Thursday – the WLC is hosting a SUPERSONIC TeaserTrain where you can check out all the books at once. Be sure to also search the #teasertrain tag on Twitter to see all the books and links to their excerpts, including my excerpt from COME THE SHADOWS and the one I hosted here – Sheila R. Lamb’s ONCE UPON A GODDESS. Enjoy the reads! If you decide to purchase some of the books there are special offers to receive some free books too! Be sure to check out the SuperSonic TeaserTrain here! Introducing Sheila R. Lamb, author of Once a Goddess. Two tribes battle for control of ancient Ireland, and Brigid must find her place among them, trapped between the will of her people and the desires of her heart. 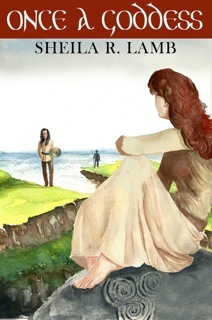 Set in a time when myths were reality, Once A Goddess brings the legend of Ireland’s magical Túatha dé Danann to life. I stood with my people, trembling. I was terrified. In less than a day’s time, I would live with the enemy, go into their homes, eat their food. I would be the wife of their next chieftain. I snatched glimpses of Bres, and of the Fomorians. A dark and robust stock, they stood in regiment rows on the other side of the albino hide. Bres was no exception. They returned my open stare. Some faces seemed kind, some curious, with half-hearted smiles, others hard and angry. A flicker of blue in the tapestry of brown…one of the men, in the back of the rows, had blue eyes. I glanced again and he was gone. My people, the Túatha dé Danann, were gathered behind me. We were the embodiment of airiness, a small, pale race, eyes of blue or green. My chameleon hair could be golden or red, depending on the light. My gown shimmered with Danann magic as it soaked up the colors reflected from the sky. I caught Bres’s gaze and drew back, intimidated by the sharpness that pierced the air around him. His fitted tunic and knee-length boots of coarse leather and wool defined every lithe muscle he possessed. Nuada and Elatha left the white deer hide as the divider between the tribes. Bres and I would stand on the sacred deer hide when we vowed our lives together. The Danann ritual was the only farewell my people could give. My father preformed the marriage ceremony. Bres took my hand in his and I flinched at his grip. He steered my steps to the albino hide, where we would end the bloodshed between our tribes. His hands were solid and brown as stout tree limbs, whereas my hands mirrored the pearls found within the sea. It seemed as though I clasped a young oak. “Danu, we thank you for your presence. As your children, we stand before you. We ask for peace.” Father diverged from the traditional mating words of magic that called upon the earth and the sky to bind us as one. “Danann and Fomorian ask for your blessings as we share the earth.” Power should have surrounded me. It should have surrounded Bres. Instead, in the face of blank, empty words and talks of peace between tribes, I felt nothing. My father’s incantation had ended and it was our turn to speak quietly to each other. Danann couples spoke sacred words of magic at this point in the ceremony, words to bind them for a lifetime. Of course, I had been warned not to use those words, our secret. My promise was simple: to uphold the treaty. He knew I couldn’t walk away. He knew we were trapped together. Bres smirked at my implications and our eyes met, each daring the other to turn away first. So, this was how it would be. I knew in that instant that I couldn’t let him catch me off guard; I would have to think carefully before I spoke and always remember that cunning motivation hid behind his words. I would protect our gifts, our knowledge of the elements that surrounded us, with my life. The Fomorians would use that information to take the earth, the source of our strength, from us. And as mine was to protect, I believed that Bres’s mission was to discover. With sickening clarity, I understood why Father and Mother had chosen me. I, Brigid, was quiet and reserved, able to turn to stone. Stone is what they wanted to give to Bres and the Fomorians. Bres studied my face as though looking for fractures in my expression. I would not give in to him. Instead of showing my trepidation, I smiled and touched a forelock of his black hair that escaped the tight leather band that kept its length pulled back. He grinned and brought my hand to his lips, biting lightly. His gesture sent a chill down my spine. Visit Sheila R. Lamb on her on her blog / Twitter, and snag the eBook or Paperback of Once a Goddess today! Check out all the TeaserTrain participant books at the WLC TeaserTrain Page! 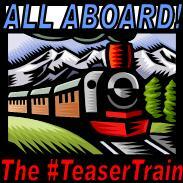 I am happy to announce I am participating in a new feature on Thursdays – the Teaser Train! 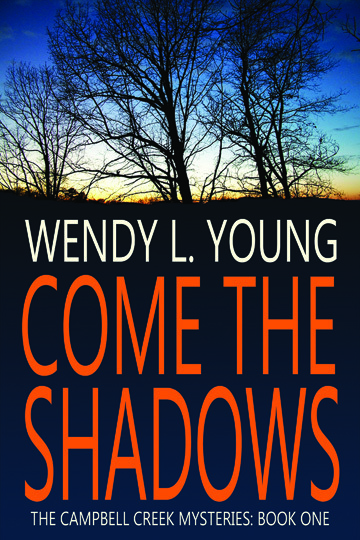 Please check out Shelia R Lamb’s blog to read an excerpt of COME THE SHADOWS. Follow the #teasertrain tag on Twitter to keep up with all the great excerpts!